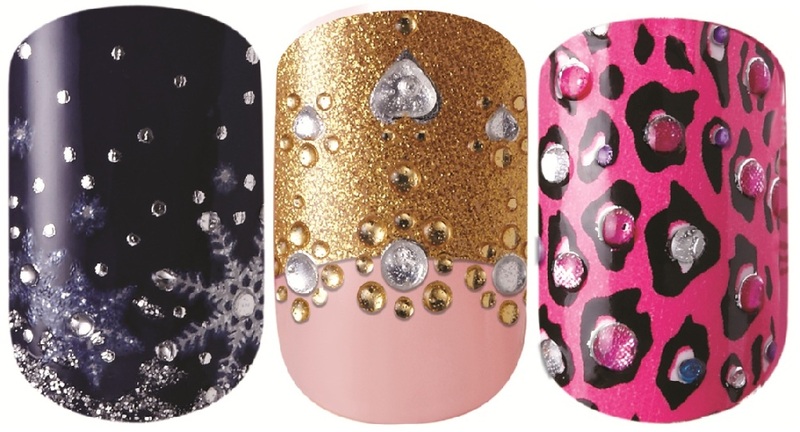 Dress up your nails for the holidays with help from Sally Hansen, Kiss and Maybelline! 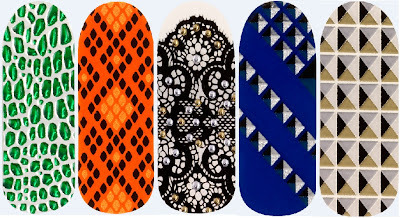 Sally Hansen Salon Effects Real Nail Polish Strips - $9.99 - Snow Way, Shiny New Year, Simply D-Vine and Holi-Daze - dress up your nails for the holidays in something way cooler looking then those stupid Santa hats! Available now at major drug and retailers across Canada. 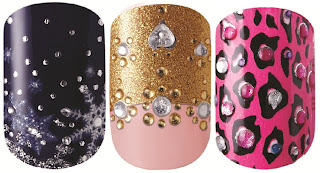 Kiss Nail Dress Holiday 2012 Collection - $9.99 - in Silk, Cotton and Wool with enough colour and sparkle to dress up any outfit! Available now at London Drugs, Lawtons, Uniprix and select pharmacies and mass retailers. 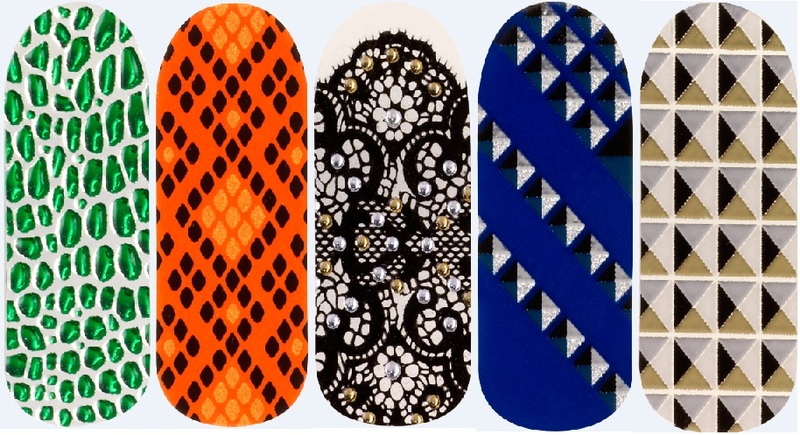 Maybelline Color Show Fashion Prints Nail Stickers - $8.99 - in 5 limited edition prints: Divine Crocodile, Wild Reptile, Midnight Lace, Sapphire Jewels and Metal Prisms - just peel and stick for perfect looking, fashion forward tips! Available now for a limited time at drugstores and mass retailers.